Here’s another great startup idea coming out of Boston Massachusetts, in fact it’s hard to believe that no one else has done anything like this. Abroad101 was actually founded in 2007. In 2010 they won $50,000 as part of the inaugural session of MassChallenge. So what is Abroad101. The web based service is the brain child of childhood friends Mike Stone and Mark Lurie. They’ve developed a web tool that pulls data from participating colleges on programs to study abroad. There was obviously a need for students who study abroad to find the best programs that meet their educational needs. As Xconomy reports Stone and Lurie knew all too well the “archaic” process of sifting through folders and brochures to match study abroad programs. Abroad101 allows users (students) to search their growing database of official school sanctioned programs for studying abroad. They can learn everything from course curriculum, to attractions in the city, safety information and find reviews from students who have been through the same program. If this sounds a lot like TripAdvisor for students studying abroad that’s no coincidence, as executives from TripAdvisor are part of Abroad101’s advisory board. With these easy to use tools now on the web Abroad101 is hoping to help create and matchup students with more opportunities to study abroad. Stone and Lurie made such an impact growing their startup that they were able to attract a third childhood friend, Adam Miller who was working in California as a startup consultant, to come back home and join their team. They even organized a trip to pick up Miller that involved stopping at more colleges and pitching their service. Abroad101 grew from one partnership at Tuffts University to over 215 colleges today. 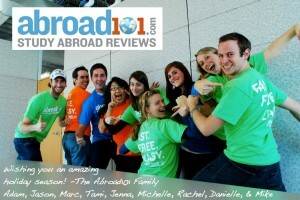 Abroad101 is free for universities to use and recommend to students. It’s also free for the student. 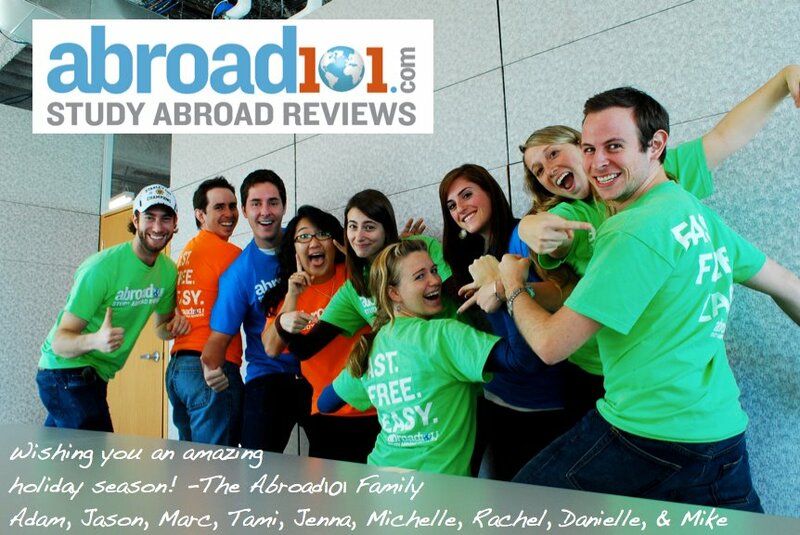 Abroad101 generates their revenue from the Universities where students will be studying abroad. To date Abroad101 has raised $750,000 from friends, family and angels. They are currently working on their series A round.